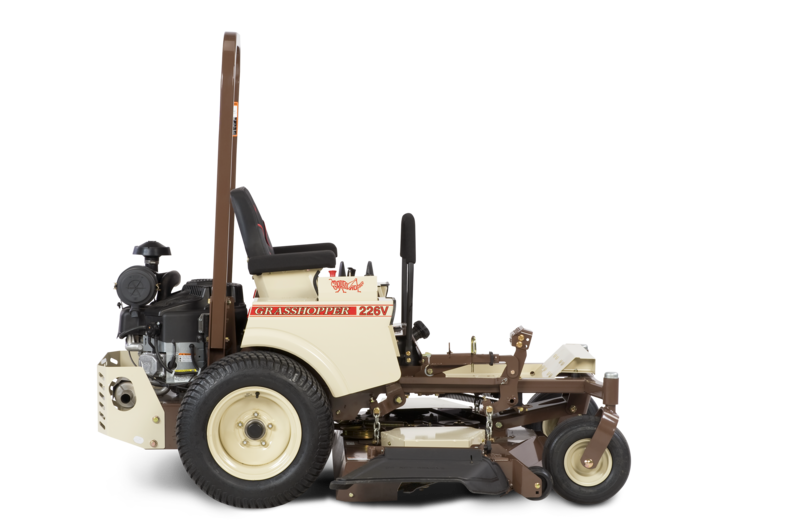 The Model 226V-G4 zero-turn riding lawn mower features heavy-duty Hydro-Gear ZT-4400 commercial transaxles with 1-3/8-inch axels and integrated cooling fans for a longer service life. 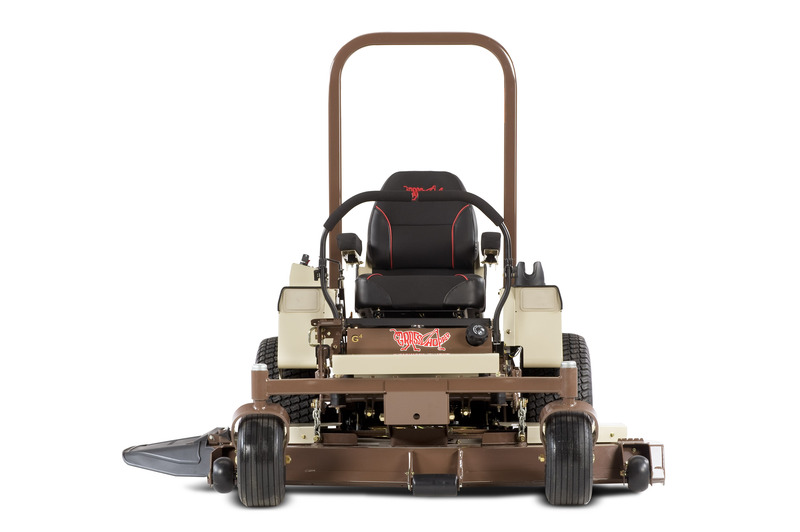 Enjoy the cost-effective zero radius performance and productivity of a professional-quality lawn mower that offers the best in comfort, durability and quality in an affordable package. The G4 Hydro-Gear ZT-4400 transmissions are designed to provide powerful, smooth response The heavy-duty, self-contained commercial transaxles are integrated with a cooling fan and feature 13/8-inch axles for longer service life. You’ll also enjoy best-in-class transmission fluid change intervals after a 100-hour break-in period, reducing costs and maintenance time. Commercial Use: 2-year or 800-hour (whichever comes first); limited warranty covering parts and labor. 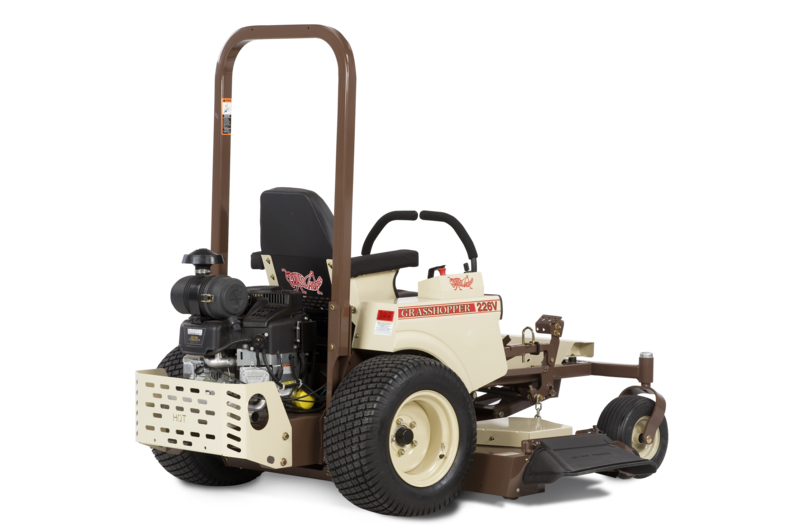 Residential Use: 4-year or 800-hour (whichever comes first); limited warranty: First two years covering parts and labor, last two years covering parts only. The deep-cushioned, deluxe Ultimate Suspension Ride™ (USR™) seat features a coil-spring suspension and padded lumbar support with sliding 2-inch fore and aft adjustment for all-day comfort. Iso-mounting eliminates vibration before it reaches the seat, and both padded seat and foldable armrests are covered in scuff-resistant, breathable CoolTemp Cordura® fabric, which dissipates heat and won’t tear or crack with extended use. QuikAjust Tilt™ dual levers with 9-inch adjustment and the adjustable seat work together to provide a custom fit for operators of all sizes. One- or two-hand operation with adjustable HydraSmooth™ QuikAjust Tilt™ dual levers with 9-inch adjustment for a custom fit that automatically return to neutral from either forward or reverse position. Provides additional seating room for larger operators or to accommodate cell phones or pagers. Requires seat belt extension. Optional DuraFlex™ Suspension Forks absorb the impacts of rough terrain to maintain a level cut, and can be set for use with PowerVac™ collectors. The Foldable ROPS allows the two-post ROPS to be lowered for mowing under low-hanging trees and other overhead obstacles, or for storing and transporting in enclosed trailers with low door clearance. CAUTION: Avoid drop-offs, embankments and steep slopes. Do not allow ROPS to provide a false pretense of security in hazardous areas and avoid questionable conditions. Always wear seatbelt when Foldable ROPS is in up-right position. When Foldable ROPS is down, DO NOT use seat belt, and drive with extra caution. Lightweight, water repellent, UV-resistant vinyl canopy mounts easily to OPS or ROPS to limit exposure to direct sunlight, reducing eye strain and increasing operator comfort. LED work lights provide improved visibility in low light situations. Extends foot pedals to allow easy height control for shorter operators. Yellow beacon attaches to OPS or ROPS to provide greater visibility in high-traffic areas. Diamond-plated aluminum canopy is highly resistant to abrasions. Easily mounts to ROPS to increase operator comfort by limiting exposure to direct sunlight and reducing eye strain. The optional Down Discharge™ mulching package with GrassMax™ medium-lift blades cuts and recuts clippings and directs them deep into the grass bed, enriching turf and producing a beautifully manicured cut. The optional SpeedTrimming™ heavy-duty, anti-scalp roller kit for 61-inch and larger DuraMax® decks speeds close trimming near buildings, fences retaining walls and other landscaping features. Kits available for both left and right sides of cutting decks. 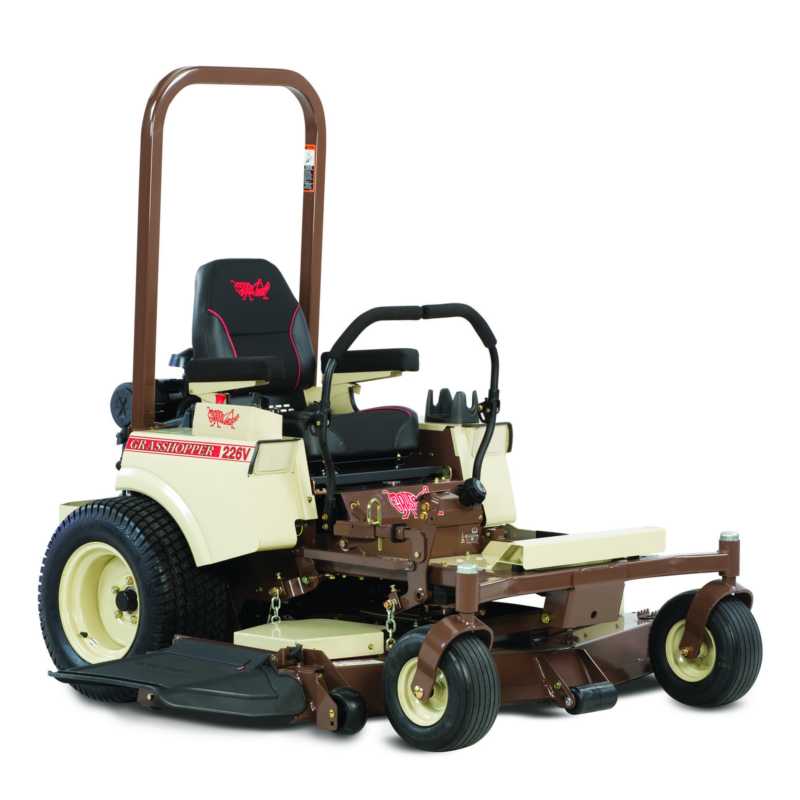 Available for the left-hand corner of 52-inch DuraMax® decks speeds close trimming near buildings, fences retaining walls and other landscaping features. Creates clean, sharp turf edges along sidewalks, roadways and driveways, eliminating time-consuming secondary trimming and reducing edging time up to 75 percent compared to hand-held string trimmers and walk-behinds. Weather-resistant, black Cordura fabric cover with embroidered Grasshopper logo keeps seat and engine area protected during storage or between mowings. Slips over ROPS, with Velcro closure to secure the opening. Air Cleaner Remote-mounted, centrifugal multi-stage air cleaner with advanced debris management. Remote-mounted, centrifugal multi-stage air cleaner with advanced debris management. Muffler Ultra quiet, single, industrial type. Ultra quiet, single, industrial type. Deck Construction Double-layered 10-gauge plus 7-gauge formed-steel laminated spindle plane 0.313 in (7.95 mm) thick - more than 25% thicker than 0.25 in. (6.35 mm) with 7-gauge skirts for geometric strength. Spindle plane is 0.9 in. (22.86 mm) thick in stress zones. Anvil-edge design with 0.5 in. (12.7 mm) reinforcement on front edge of deck. Double-layered 10-gauge plus 7-gauge formed-steel laminated spindle plane 0.313 in (7.95 mm) thick - more than 25% thicker than 0.25 in. (6.35 mm) with 7-gauge skirts for geometric strength. Spindle plane is 0.9 in. (22.86 mm) thick in stress zones. Anvil-edge design with 0.5 in. (12.7 mm) reinforcement on front edge of deck. Deck Spindles Sentry™ Spindle System, 2.5 cm (approx. 1 in.) O.D. shaft. Spindle head designed to eliminate fiber wrap. Double bearings, non-greasable. Spindle cones shield housing and lower bearings from fiber wrap and dirt ingestion. Sentry™ Spindle System, 2.5 cm (approx. 1 in.) O.D. shaft. Spindle head designed to eliminate fiber wrap. Double bearings, non-greasable. Spindle cones shield housing and lower bearings from fiber wrap and dirt ingestion. Spindle Housing 8 in. (20.3 cm)-diameter machined aluminum housing with 6-bolt pattern. 8 in. (20.3 cm)-diameter machined aluminum housing with 6-bolt pattern. Blade Drive Belt drive with single Kevlar V-belt and idler arm tensioning. Belt drive with single Kevlar V-belt and idler arm tensioning. Interlock System Prevents engine start when PTO clutch is engaged or steering levers are in drive position. Allows operator dismount without engine shutdown only when PTO is disengaged and steering levers are locked in neutral. Prevents engine start when PTO clutch is engaged or steering levers are in drive position. Allows operator dismount without engine shutdown only when PTO is disengaged and steering levers are locked in neutral. Operator Seat Deep-cushioned, deluxe Ultimate Suspension Ride™ (USR™) seat features a coil-spring suspension and padded lumbar support with sliding 2-inch fore and aft adjustment for all-day comfort. Seat and padded, foldable armrests are covered in scuff- and tear-resistant Cooltemp Cordura®. Deep-cushioned, deluxe Ultimate Suspension Ride™ (USR™) seat features a coil-spring suspension and padded lumbar support with sliding 2-inch fore and aft adjustment for all-day comfort. Seat and padded, foldable armrests are covered in scuff- and tear-resistant Cooltemp Cordura®. Suspension Roomy, iso-mounted footrest with Shock Impact Reduction System™ (SIRS™). Roomy, iso-mounted footrest with Shock Impact Reduction System™ (SIRS™). Console-mounted Instruments Digital hour meter, parking brake indicator light, ignition switch, choke and push/pull PTO switch. Digital hour meter, parking brake indicator light, ignition switch, choke and push/pull PTO switch. Transmission Type Heavy-duty Hydro-Gear ZT-4400 hydrostatic transmissions with cooling fans. Integrated transaxles with 12cc piston pumps and 16cc piston motors, gear reduction, internal disc brakes and 1-3/8 inch axles. Heavy-duty Hydro-Gear ZT-4400 hydrostatic transmissions with cooling fans. Integrated transaxles with 12cc piston pumps and 16cc piston motors, gear reduction, internal disc brakes and 1-3/8 inch axles. Transmission Filtration Self-contained fluid and internal filtration / Grasshopper CoolTemp Hydro-Max™ fluid withstands high and low temperature extremes for 500-hour change intervals. Self-contained fluid and internal filtration / Grasshopper CoolTemp Hydro-Max™ fluid withstands high and low temperature extremes for 500-hour change intervals. Turning Radius True zero degree, turns within own length with counter-rotating, independently powered drive wheels. True zero degree, turns within own length with counter-rotating, independently powered drive wheels. Steering One- or two-hand operation with adjustable HydraSmooth™ QuikAjust Tilt™ dual levers with 9-inch adjustment for a custom fit that automatically return to neutral from either forward or reverse position. One- or two-hand operation with adjustable HydraSmooth™ QuikAjust Tilt™ dual levers with 9-inch adjustment for a custom fit that automatically return to neutral from either forward or reverse position. Brakes Dynamic braking through hydrostatic transmission. Dynamic braking through hydrostatic transmission. MidMount™ Front Caster Wheels 13x6.50x6; pneumatic with greasable, double-sealed bearings to protect from grass wrap. 13x6.50x6; pneumatic with greasable, double-sealed bearings to protect from grass wrap. Deck Width - Side Discharge 48"